Russia and Venezuela have begun joint naval exercises in the Caribbean. The move has been seen in the West as a response by Moscow to the visit of the U.S. Navy to Georgia earlier this year. 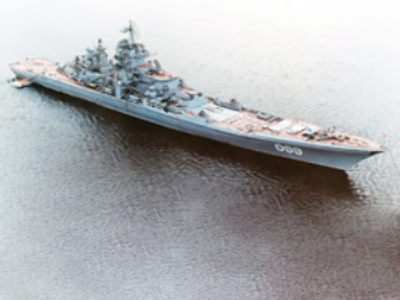 Two Russian warships, the nuclear powered missile cruiser Peter the Great and submarine hunter Admiral Chabanenko, together with two auxiliary vessels and 12 Venezuelan warships, are taking part in the two day war games. It follows Dmitry Medvedev’s visit to Venezuela last week, where he went aboard Russian naval vessels along with President Hugo Chavez. They said the drills are not aimed against any third parties and were specifically designed to ensure stability in the region. They said other Latin American states could join their countries' naval exercises in the future. The navies are training in tactical combat maneuvering, anti-aircraft defence, sea rescue operations and joint operations combating the seizure of vessels and drug trafficking. They will also conduct live-firing artillery drills. 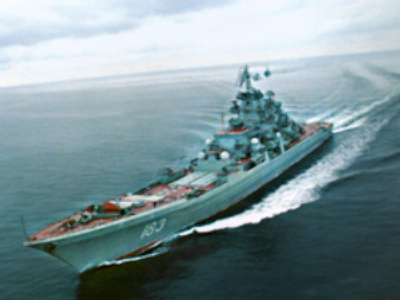 The exercise, involving 1600 Russian navy personnel, will also involve helicopters and planes. The Russian warships were led by the flagman of the Russian Northern Fleet. The nuclear-powered cruiser Peter the Great arrived in Venezuela last week – for the first time since the Cold War. Earlier this year two Russian Tu-160 White Swan (Blackjack by NATO classification) strategic bombers carried out patrols along the coast of South America from Venezuela's Libertador airfield.